Update: These offers for American Express® Gold Card and the Citi Premier℠ Card have expired. Learn more about the current offers here. Yesterday American Express introduced the new American Express® Gold Card. I’d argue that this is the hottest credit card that we saw introduced since the Chase Sapphire Reserve®. The card has a $250 annual fee (Rates & Fees), and offers 4x points at U.S. restaurants, 4x points at U.S. supermarkets (on up to $25,000 spent per calendar year), and 3x points on airfare purchased directly from airlines. On top of that, the card offers a $100 annual airline fee credit, plus an annual dining credit of up to $120, in the form of up to a $10 statement credit per month for purchases at select dining establishments. I really do think the American Express® Gold Card is a hot new card. It’s a card I plan on getting, and one that I think is ridiculously lucrative for anyone who spends a lot of money on food (regardless of whether we’re talking about dining out or buying food at supermarkets). To be balanced, in this post I wanted to look at six areas in which the card is less competitive, which is also why some people may still want to hold onto the Chase Sapphire Preferred® Card or Chase Sapphire Reserve® Card. The American Express® Gold Card offers an unprecedented 4x points on dining, though it’s only valid for purchases in the US. So internationally you’ll still do much better putting your dining purchases on the Chase Sapphire Reserve® Card, which offers 3x points on dining globally. 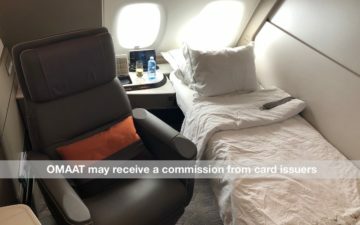 Often I find it’s worth forgoing this coverage so that I can earn 5x points on airfare with the Amex Platinum Card (I shared my strategy on that in this post), though when we’re talking about both issuers offering three points per dollar, Chase has a big advantage. The Chase Sapphire Preferred® Card and Chase Sapphire Reserve® Card both offer primary collision damage waiver coverage when renting cars, which is a valuable benefit for a premium credit card. Unfortunately the American Express® Gold Card doesn’t have that coverage. This is an area where American Express is improving, though it’s still worth acknowledging that as of now Mastercard and Visa have much better global acceptance. So if you’re looking for a “one size fits all” card, this one won’t be ideal for international travel. Personally I think the $250 annual fee on the American Express® Gold Card is reasonable for what the card offers. To help offset that annual fee, the card also offers up to $220 in airline and dining credits annually, though using them isn’t that straightforward. I only list this in order to contrast it to the $300 annual travel credit offered by the Chase Sapphire Reserve® Card, which is valid for any purchase coded as travel. If you have the Chase Sapphire Reserve® Card then you can redeem points for 1.5 cents each towards the cost of a travel purchase. 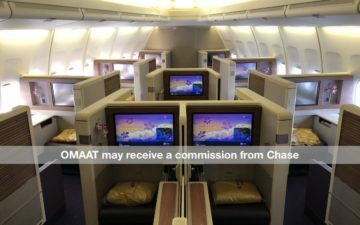 While there are many things I prefer about Amex points compared to Chase points, being able to redeem Amex points at a good rate towards the cost of a travel purchase isn’t one of them. The one exception is if you have The Business Platinum® Card from American Express, but even that is complicated. The new American Express® Gold Card is a phenomenal card that I plan on acquiring. Earning 4x points on U.S. dining and supermarkets are bonus categories that will quickly pay for themselves, and make this card a keeper. However, I think it’s worth also mentioning that getting this card is part of an overall credit card strategy. This is a card you get for the return on spend that it offers, but there are some limitations, like the lack of travel and car rental coverage, and the two biggest bonus categories being limited to US purchases only. So in that sense I think the Chase Sapphire Preferred® Card, Chase Sapphire Reserve® Card, and Citi Premier℠ Card are more well rounded cards if you’re looking for a “one size fits all” card. Could you sign up for Platinum and get the 100,000 points and then call Amex and down grade to gold card. I want the sign on bonus but want the gold card benefits of 4x dining and grocery. I’ll add one that keeps me from getting this card. I LOVE LOVE the supermarket 4x but……my main “supermarket” is Walmart for groceries. I live in a rural area and it just is so judge me. Problem is “Walmart” doesn’t = “Supermarket” so I’m out. I feel bad about it. Great blog post though as this would also keep me using my CSR for airline and travel purchases. Given that Amex cards are once in a lifetime there is no rush to get this card now especially since the annual fee was waived for the first year a couple days ago before the card was changed. I’m going to wait patiently for when the annual fee is waived. One thing missing is what about purchases that are not 4x, 3x categories i.e. everything else? No 1 point per dollar? Lucky – do you have a separate referral link available that offers the 50k signup bonus? It’s out there and the links in your post direct to the 25k signup. Substantial difference considering the card currently includes lifetime restriction wording. @ Sean — Sorry that wasn’t clear. Yes, it’s one point per dollar on everything else. It’s not advertised officially but if they keep doing those Amazon deals: 20% off 500, 5000 MR for Prime membership, 30 off 60, and $30/$40 off an Amazon Kindle reader/tablet, those would already make this card a keeper. My plan is to keep both the new Gold and CSR and use them for different purposes. But I see “Baggage Insurance Plan” and “Car Rental Loss & Damage Insurance” under the benefits page of Gold card. Amex car rental insurance is primary when you rent cars internationally. Today there were 5 articles about credit cards and 5 articles about something related to aviation. So basically it is a $30 per year card to only use on dining purchases. That is fine with me. I probably spend a few thousand dollars on “restaurants” over the course of a year, so this is a great return. Walmart does classify as a grocery (2x) when you use the grocery pickup. I checked my statements and it proves to be accurate. I read somewhere that only current holders of the PRC gold will continue to have the 2x gas station benefit, is this correct? Nice to see this article. Agree, it sets you site apart from the rest. Per the comments, the definitions/ limitations on what constitutes a ‘supermarket’ should also make your list. A number of places that look and feel like supermarkets aren’t coded that way because they also sell non-grocery items. The US h only thing is super strange. They want to be front of wallet, obviously, but here’s a card that you should outright leave at home if you are traveling internationally. I wonder what the thought process there is. Amex Gold also doesn’t include Priority Pass membership. I realize many people already have Priority Pass through other cards, but since everyone is talking about how they are going to ditch their CSR, I thought this was worth pointing out. For me, the unlimited PP guest passes I get with the CSR basically compensate for the $150 effective fee all by themselves. I don’t think you finished your last sentence/thought. I just got a new set of Chase Sapphire Preferred “terms and conditions” in, and it appeared that the CSP only offers Primary Coverage for rental cars when you rent internationally. Am I right that this has been changed? If so, what other cards offer primary coverage in the US? I already have the Premier Rewards AMEX, and despite the fee increase, I will keep it since 4x on domestic dining is GREAT since Chase simply won’t give either of us the CSR card, despite being under 5/24. Take that, Chase…. Ben, are you sure that CSP still provides primary car coverage? @Joseph – I see these points too, but a maybe tone the satire back a smidge. There is some valid information here, after all. You should mention in ALL posts (not just the initial one) that include your affiliate link that readers can get a better offer elsewhere. Respect Lucky and like his posts (unlike other random writers at OMAAT), but thought someone should point this out so the site doesn’t turn into TPG. @B But Sign-Up is faster than making a cup of coffee. SAD. The last sentence appears unfinished. Chase made a bad business decision with their CS* lineup and is now paying the price – though to their credit they are working to rectify that (Sapphire Banking). Card-wise there’s nowhere to go but down. CITI is just too incompetent to do anything beyond follow the herd mentality, and that’s why they take a bath to our benefit. @dbeach Generally the swipe fees are way lower overseas so I would think that Chase probably loses money on foreign restaurant charges. The reporting, analysis, and annual statements from American Express are by far better than anything from Chase though. Let’s also not forget the top tier customer service and actual true, real online customer service from American Express. Chase does not offer this type of online interactive ‘real’ customer service. Further, if adding an additional member, Chase will lump in all charges together making charges indistinguishable from each other whereas American Express gives additional members their own benefits, portal login, and full reporting and analysis capabilities. This is a significant benefit if looking at adding additional card members. I have airline credit on American Express cards That rebate for very specific airline related purchases and expenses but it’s very unclear to me what you can actually use it for. Almost everything seems to be ruled out. Citi is much better with that it’s just a travel credit applied toany travel related expense. Does anyone know how old these credits can be spent? Wondering about downgrading my AmEx Gold card to avoid the increased annual fee. An article on AmEx alternatives would be timely right about now….. I will second Tracey by saying that I too am thinking of downgrading my Amex Gold Card when the renewal comes up this summer. I have plenty of miles and am beginning now to focus more on cash back. I think the fee increase is downright greedy (a $55 increase by my calculations). Furthermore I don’t feel compelled to carry a credit card made of metal in my wallet when plastic has resided there comfortably for nearly 45 years. I don’t need a metal card to feel cool or important. I also carry a Gold Business card from Amex, though I am now semi-retired. Should i keep one and downgrade to another? The fees for both will add up to quite a bit each year. I would appreciate any suggestions. A late reply for those looking at this topic specifically. I’ve mentioned it elsewhere on this site as well. My two primary “travel” cards are Amex Gold & Chase Sapphire Reserve. While the Gold card does not include *primary* Car Rental Insurance/Loss Damage Waiver as a benefit, Amex *Travel* offers the product “Amex Premium Rental Protection” that can be added to the card with a phone call to Gold card customer service. Once you’ve added PRP to your Gold card, a single per-rental (NOT per-day) charge will post to your card two days after any Rental Car charge posts. Depending on your card’s billing address state, PRP will cost between $20-$30 per rental. Unless/until you rent a car with the card, PRP costs nothing. While I use my CSR card for rentals in locations with “low risk of rental company/agent weaselling,” I’ll use my Gold card with PRP in “dodgy” ones. 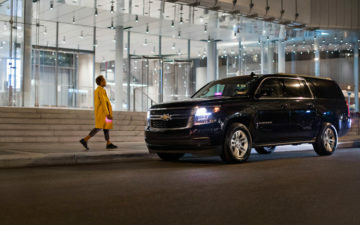 Examples: I rent from Hertz in Las Vegas using the CSR card; in Orlando when renting from Enterprise, I’ll definitely use the Gold card with PRP just to have the “firepower of Amex Customer Service” available should any “issue” arise with the rental. Rental companies/agents do NOT even try to mess with Amex customer service.